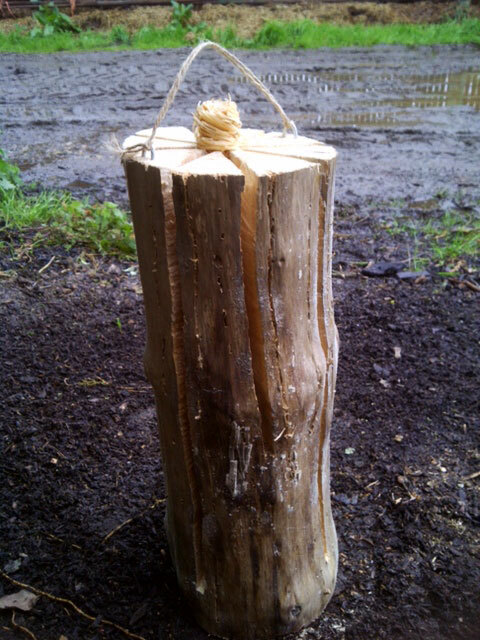 Pine candles – the perfect portable campfire – Why not add a very special feature to your garden this year? 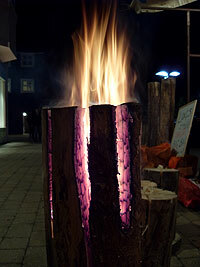 We have designed these beautiful burning log candles that look fabulous on the patio or lighting up a garden path. They will be a talking point at any garden party or barbeque this summer. They are a bargain at just £10.00 each This all-natural product can be used for any outdoor event. They look great at bbq’s, Halloween parties, for Guy Fawkes night, fireworks parties, new years eve, Christmas Eve and just about any other outdoor party or reception you might want to have. Just light the wick and enjoy. The candles look stunning lighting up paths, on the patio, or on the lawn. The glow, warmth and aroma of the burning pine sent at an outdoor event such as a wedding reception, is unique and quite amazing! No Pine is cut purely as material for Pine candles. The candles are made from seasoned Pine which is obtained in the normal course of tree surgery. A number of cuts in the candle allow the air to flow and keep the flame going. A special wick inserted in the top can be lit quickly and easily with a match and the candle burns straight away and needs no more assistance. Because the Pine is seasoned there is little spluttering and spitting, and it burns virtually to the bottom. They are free standing and only require a level ground to sit upon.